What is the God-Machine? That question doesn't have a single, easy answer, but that doesn't stop people from asking. The World of Darkness is layer upon layer of mystery, but what is the mechanism that keeps it all moving? Is there a design in play? And what happens to those who think to use the Machine for their own ends? Contains the rules tweaks and additions to the core Storytelling System as presented in the Chronicles of Darkness as a separate document for ease of reference and use. Designed to be used in it's entirety to add new depth to your Chronicle, or to allow individual rules and mechanics to be implemented as they make sense for your game. For the complete experience get the Chronicles of Darkness core rulebook in PDF or Print and explore the world's greatest mysteries. 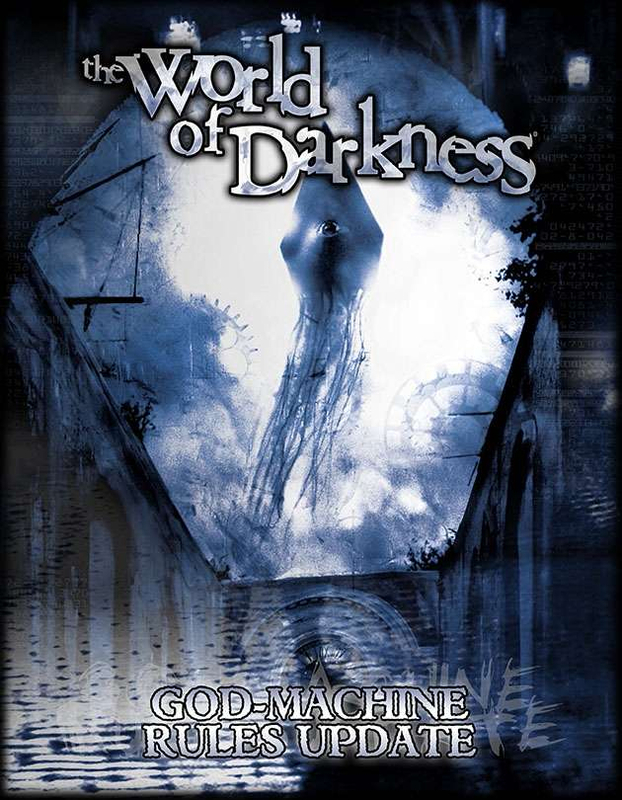 Check out the God Machine Chronicle Fiction Anthology, a collection of terrifying insights into the God Machine and its effect on the inhabitants of the Chronicles of Darkness.